I’m not sure how recently it happened, but the SkyTeam lounge in Heathrow’s Terminal 4 has appeared on the list of Priority Pass facilities. This is fantastic news for American Express Platinum card holders, as they now have free unlimited access for themselves and up to three guests to a genuinely impressive lounge. You can also buy one-off day passes via the Lounge Pass website. When I was in Terminal 4 last Monday I popped in for a look. 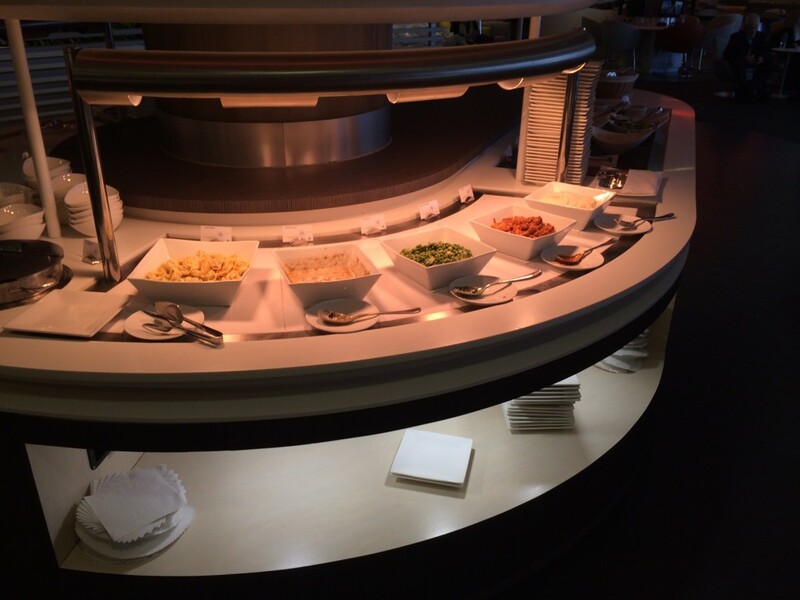 As you would expect from the flagship Heathrow lounge for the entire SkyTeam airline alliance, a serious amount of money has been spent. It is probably the only Priority Pass lounge that lets you have free access to a cabana / dayroom, for instance. 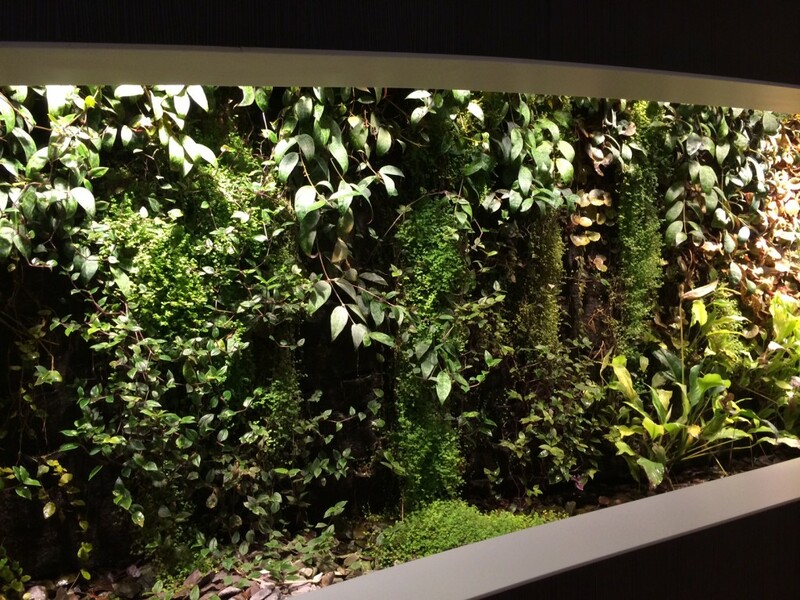 There is also a Clarins wellness area – although I did not go in – and a yoga room! The first thing to note is that the lounge is very big. It appears that 95% of passengers do not realise that it is on two levels. You will see that my photos of the upstairs level are totally, completely deserted. Although, if you are having an illicit affair, you may prefer one of the four dayrooms. These do not appear to require booking, just turn up. All in all, this is an impressive facility. It wasn’t perfect – I struggled to get the computers in the lounge to function – but there is a good selection of magazines and newspapers, huge amounts of natural light, plenty of seating and more than enough to eat and drink. If you were travelling First Class on SkyTeam you may be unimpressed with the lack of premium drinks. 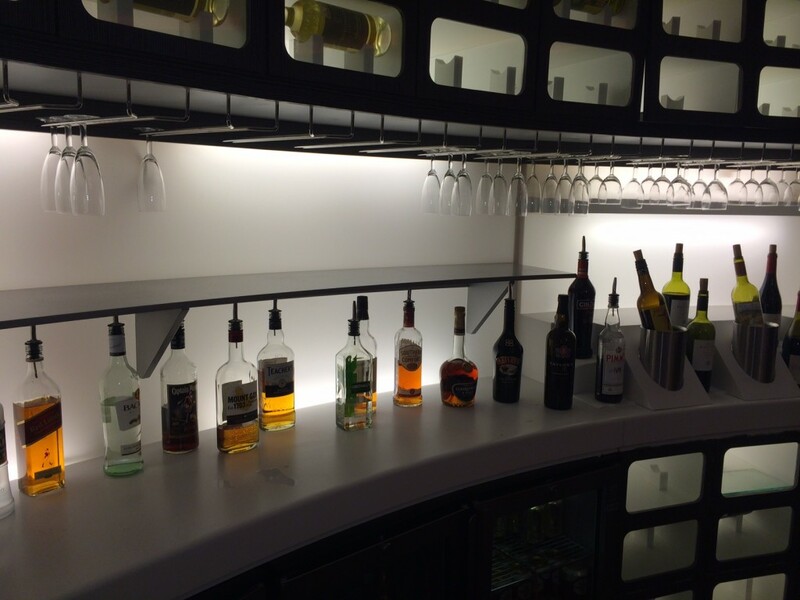 For a Priority Pass lounge, however, it is well worth a visit. If you do not have a Priority Pass you can book entrance in advance for cash via the Lounge Pass website. Unfortunately, the lounge is NOT a member of Lounge Club. This means that American Express Preferred Rewards Gold cardholders cannot use their two free lounge visits here. 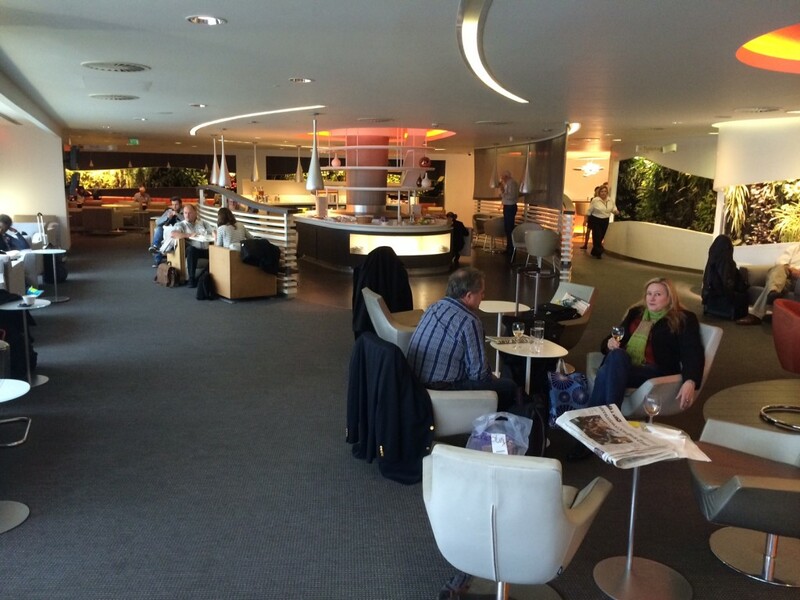 The only Lounge Club facilities at Heathrow are the Servisair lounges in Terminals 1 and 3 and the impressive Plaza Premium lounge in Terminal 2. I used this lounge a good few years back now but if I recall correctly, the champagne was put out in the evenings. 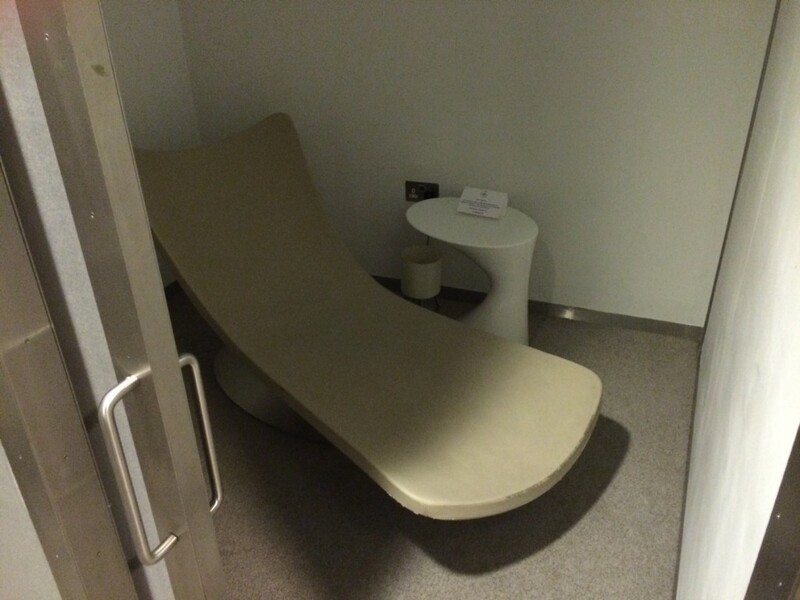 Also there was a small side room for First Class pax – not that I suspect you get many of those on Skyteam ex LHR…. Used this when I was FB-G and was quite impressed with food offering – having dropped to Silver (soon to be ivory) I did actually change my flight patterns to BA (CX-G) unless there was a significant cost differential. Looks like AZ is back on my shopping list. Used the DL lounge a couple of years ago from about 9.30 to noon. As the lower level started to get busy I moved upstairs which was virtually deserted for the couple of hours I was there. At one point there were more staff than passengers! When I was leaving I saw that the lower level was absolutely rammed with people standing looking for which other passengers were leaving so they could pounce for the empty seat yet if they went upstairs there were plenty available. I also used this lounge a lot a few years ago as a FB-G. Always liked it. One time I had The Hof sat behind me, apparently waiting for a LHR-AMS-LHR same plane turnaround “visa renewal run”. The glamorous lives of the rich and famous…. Excellent! I normally fly from T5, but in Feb flying with Qatarairways from T4. 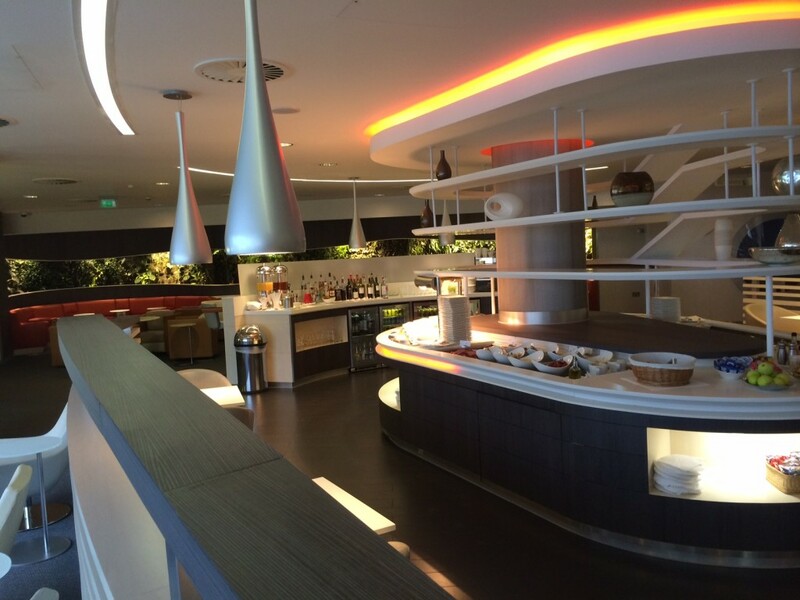 Worth adding that if you are flying Qatar in economy but you have BA (or other oneworld, including Cathay) status, you are sent to this SkyTeam lounge. The Qatar Premium Lounge, which I will review in a day or so, is only for people with a ticket for business or first class. Flew Delta last year and got into here. We were flying in the morning, and no champagne was put out but server was happy to go and get us a bottle and left it out to chill once we had used it. Great review. However It may be wrong to assume that using the Yoga room would expend more energy than using the day room for an illicit affair! Is this the former BA Gate 10 lounge? What comes around goes around, The former KL/AF lounge at the far end doubled for a while as a PP lounge then became unavailable for PP (possibly because of SkyTeam affiliation?). Good to see a SkyTeam offer at T4. Indeed it is, in fact the ground level is the old Concorde Room. How times change. When I was in here for the 0800 Qatar departure the desk staff we proactive in directing people upstairs for the hot breakfast, which was equivalent to what’s on offer in the *G lounge or the BA First lounge – sausages, scrambled eggs, fruit, pastries etc. So with the QR Premium lounge occupying part of the other old BA Lounge complex, it’s possible for Qatar fliers to take a trip down BA memory lane. I imagine Raffles will report how Qatar’s own lounge is undoubtedly the best at Heathrow (where else can I get an espresso martini and unlimited M&Ms? 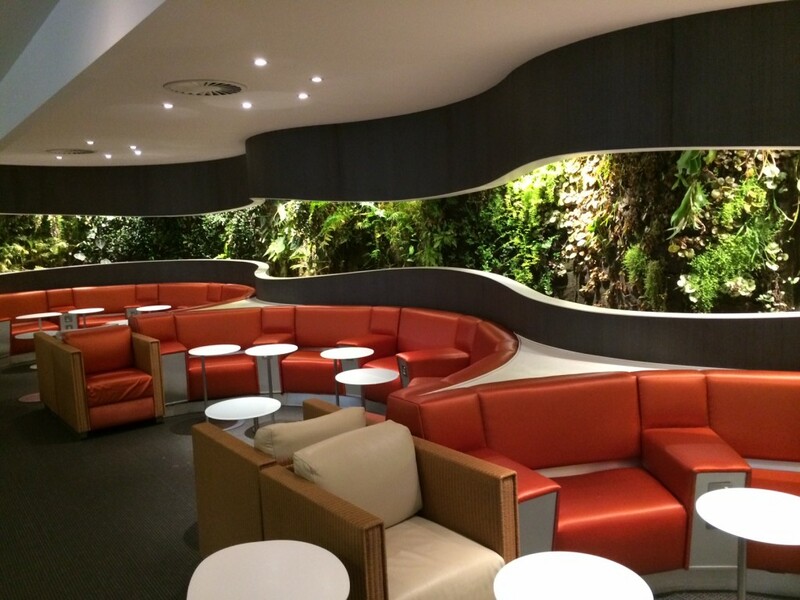 ), and along with its new Doha lounge and the Qantas Sydney First lounge one of the best three I’ve ever been in. We shall see. Sorry, that last sentence should read ‘Good to see a PP offer at T4’. The abundance of natural light is always a plus. Out of interest (as my parents have one) are the lounge passess with the Amex gold card valid for 2 people on one visit or only the main card holder on two occasions? I fly to AMS a lot to see friends, this would make me change my allegiance away from BA. its a nice lounge and I could justify the whole £450 platinum fee just to use this lounge. Flying Blue is such a rubbish FF program though. I’m unsure how you get access for yourself and up to three guests for three with Amex platinum card holders. The Priority Pass cards with Amex Platinum each allow you to bring in a guest for free. As long as your wife has your 2nd Priority Pass card via a supplementary Platinum, you can each bring in one guest (ie kid) each so that is all four of you. “8. What is your policy for taking guests into a lounge? The version Amex Plat gives out is more generous than the one that PP sells direct. The Amex website does not explain this properly unfortunately – the Platinum website is, in general, exceptionally poor in outlining the card benefits. Superb, thanks for that. I’ve had it approaching 3 years now, and didn’t actually know that the amex one was a better version of the card. I suspect the lounge dragon won’t like it though…. The lounge doesn’t know or care. Your PP is scanned and you sign a slip as usual for your guest to say that you agree to pay the applicable fee. The lounge is paid by Priority Pass as usual, however the guest fee is never passed on to you. Yes they changed the rules when they put the annual fee up from £300 to £450. Quite a useful change. The lounge staff won’t know/care – they’ll put it through as one plus a guest on each card and then at Amex/PPs end no charge will be levied (it you had a vanilla PP card the cost would be as you outlined). PS and the US PP card is different again, it’s called PP Select and excludes a lot of US lounges, something to be aware of if reading FT threads and seeing PP being mentioned!